When I was a small child, there were some abstract paintings dotted around my parents’ bedroom; brightly coloured acrylics on old bits of scrap board. My father was working long shifts in the shipyards at that time and had to concentrate on providing for our family so never developed his painting beyond this amateur level. However, his attempts to express himself influenced my own creativity and helped to develop a love of visual imagery that still permeates my everyday life. Encouraging children to develop art and their "creative eye" is a gift that lasts a lifetime. To get pleasure from the simple things in life, such as a pattern made by peeling paint on a door or a sun-kissed leaf, is indeed a gift. In May this year I was part of a group of artists at the Hasankeyf Ingathering. 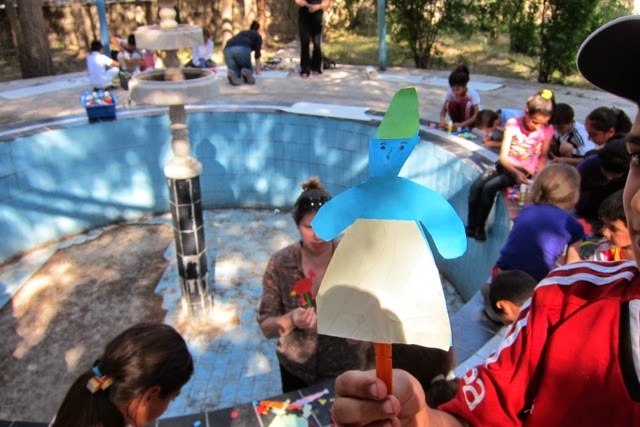 One main element of this event was to provide art workshops for the local children. Our art studio was a very simple space: a circular discussion area in the garden of the Belediye, which was kindly provided by the mayor. We decided to make art "stations" so that the children could try a range of different activities. We came armed with rolls of paper, crayons, sequins, scraps of fabric and toilet-roll holders. The children were waiting impatiently as we arrived to set up, running to help us unpack our bags and prepare for the workshops. At first our young artists were so excited that they ran around trying to decide what to do first. Eventually, they settled down to begin work on their mini-projects. The children were a mixture of ages and abilities so we had tried to keep our ideas simple and accessible for all. 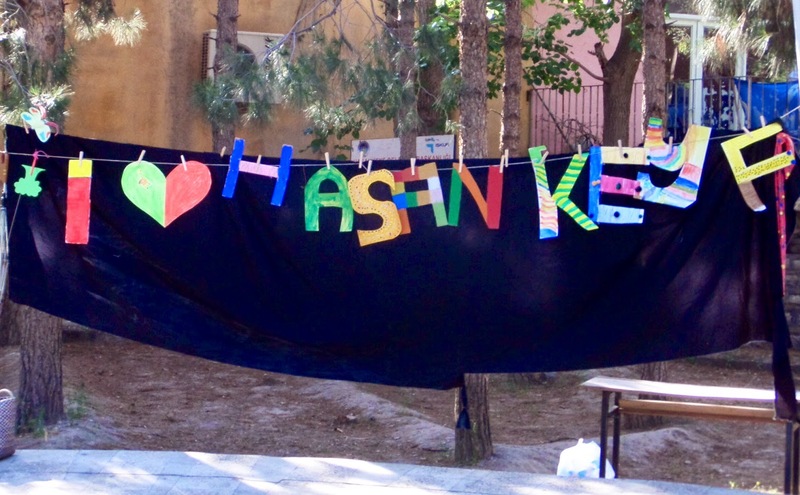 Some children made puppets, others produced a colourful Hasankeyf sign. 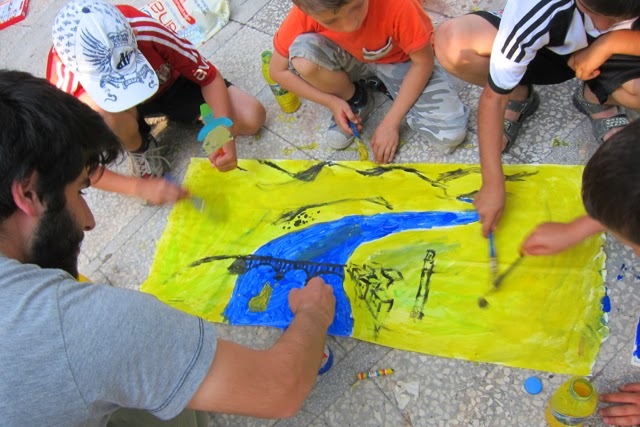 A small group of children were involved in basic stamping activities and others collaboratively painted a view of their hometown. We adults mingled and helped where needed to ensure that all the children were occupied although most worked independently and were happily engaged in their activity. 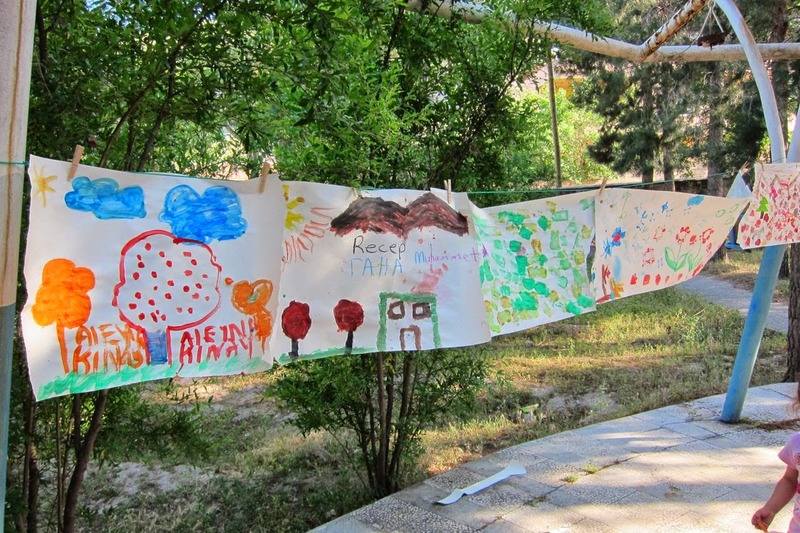 The children helped us to attached string to the poles enclosing the "studio" which became our hanging space. Once they realised the string’s use the children were keen to display their artworks as soon as they finished them. At the end of the workshops the children were walking around looking at what they had produced and pointing their work out to friends. Their artwork remained hanging outside throughout the weekend and the children added more pieces to their gallery the following day. 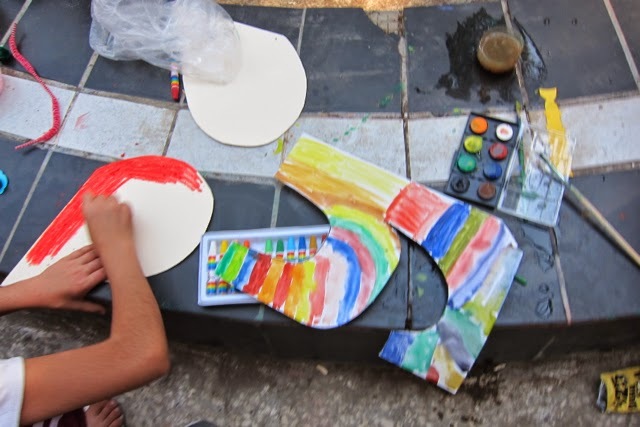 It could be argued that these kinds of community projects do not produce long-term effects and that it is unlikely that any of these children will get the chance to fully develop any artistic bents they may have. I beg to differ on both these points as I believe the world is starting to look different to these children and the world needs more people with vision. Bravo, all of you! 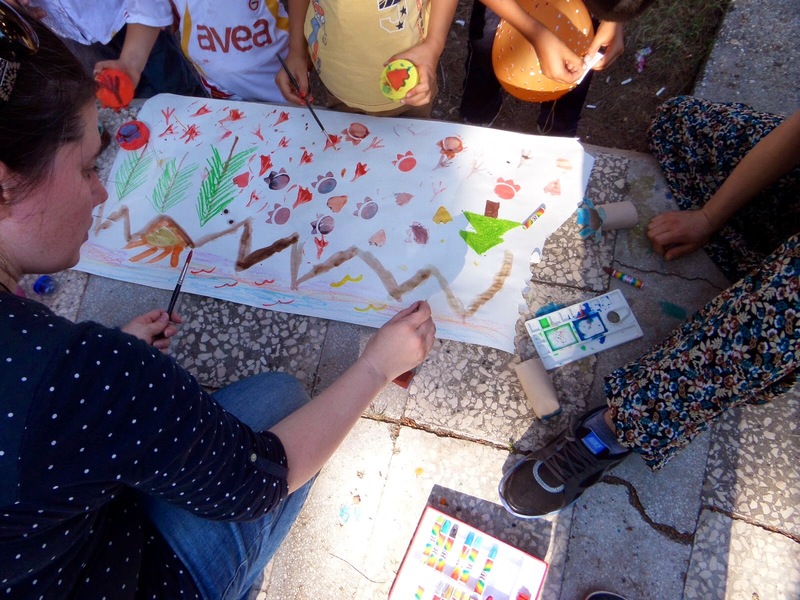 I'm certain that the children of Hasankeyf will never forget the workshops that you prepared for them. A lovely way to bring new ways of seeing into their lives which will forever change their consciousness. The story of your father, his paintings and how they affected you, Suzanne, are proof of that.